An American Avocet on a shallow depression in the ground with three eggs showing. This entry was posted on 2015/06/23 by Robin. 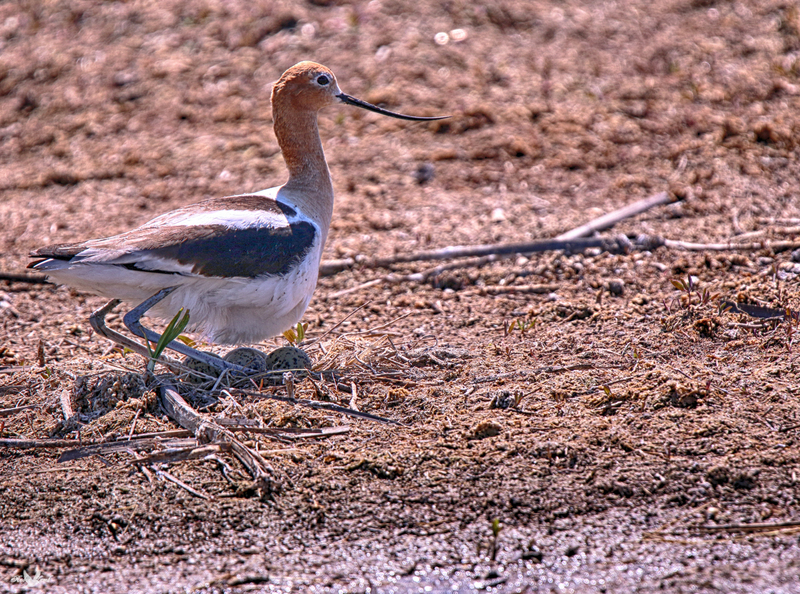 It was filed under Birds and was tagged with American Avocet, Avocet, eggs, nest, Reed Lake, Saskatchewan. You have done it again, beautiful Avocet. Darko, thanks! I didn’t realize that I had got her on a nest with eggs until I got home and downloaded it! Not much of a nest. Great shot. Great capture, is this close to home? Karen, thanks! No it’s quite a way east of where we live. We were away on holidays from B.C. To Manitoba.